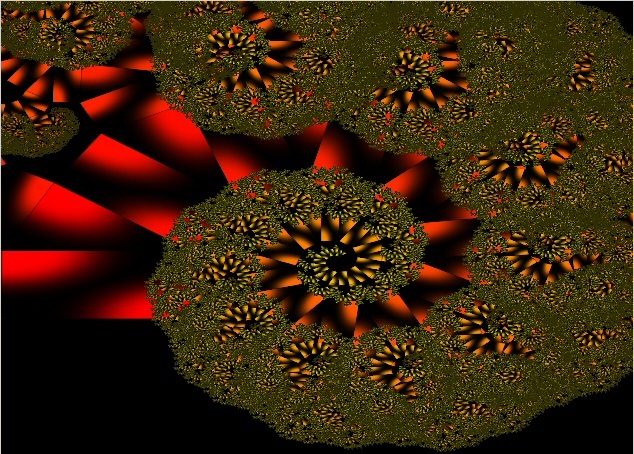 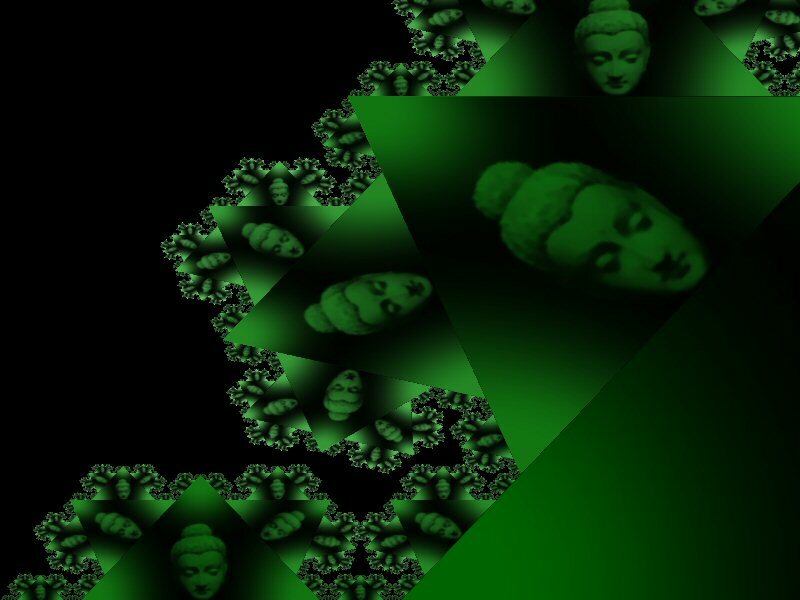 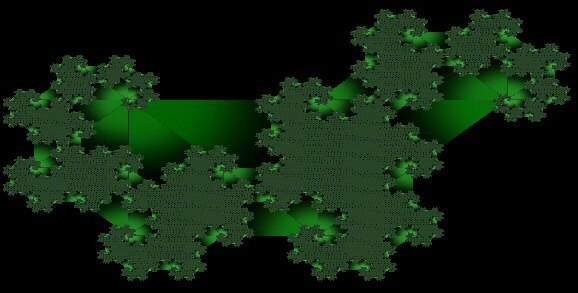 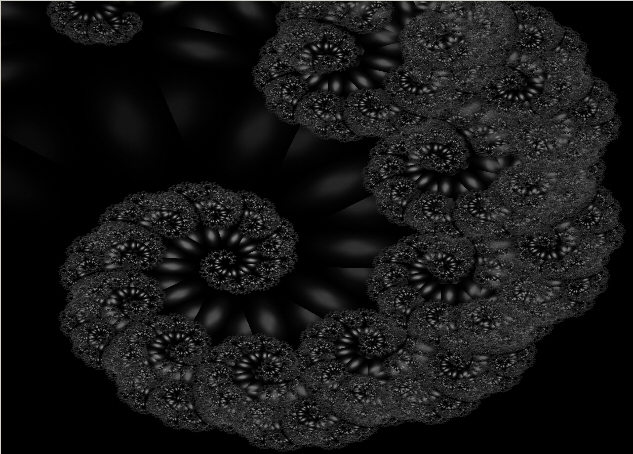 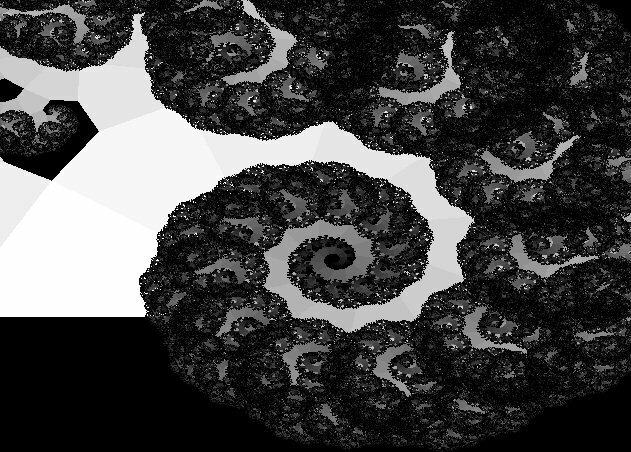 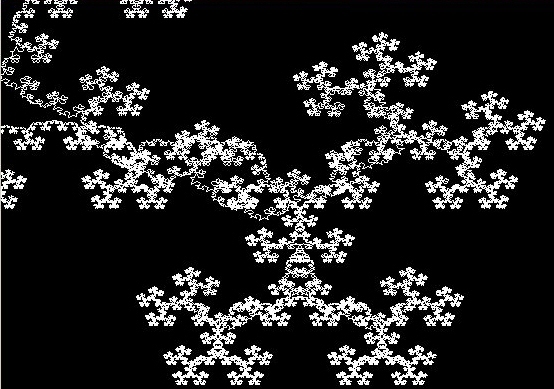 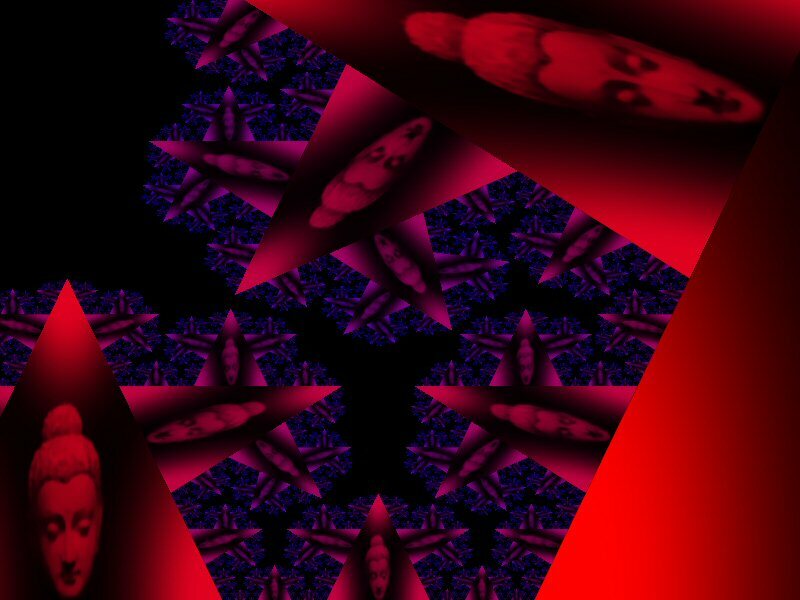 Some experiments with recursive patterns, using Managed DirectX and C#. 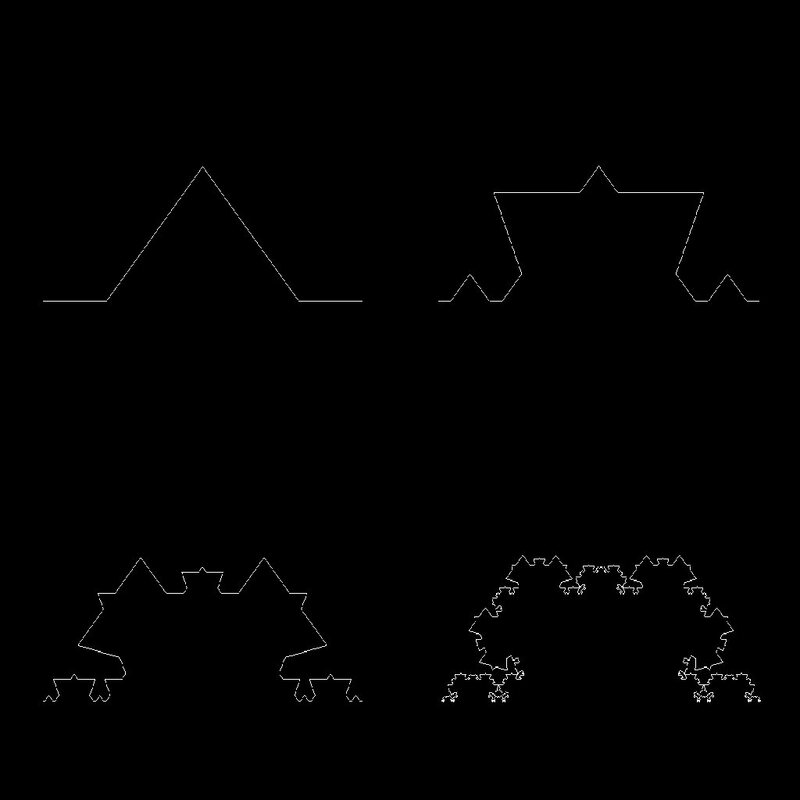 A basic triangle shape, repeated up to six times. 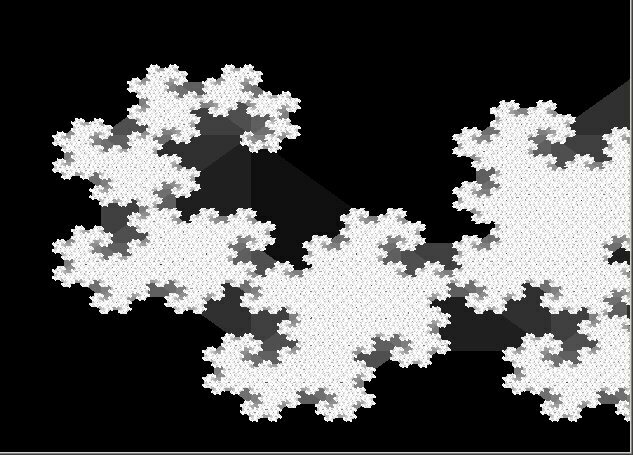 A more complex shape, repeated up to four times. 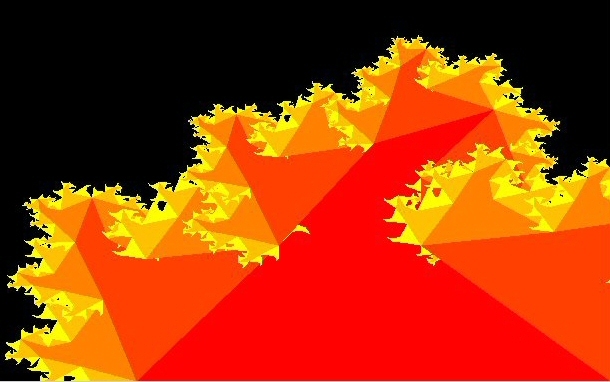 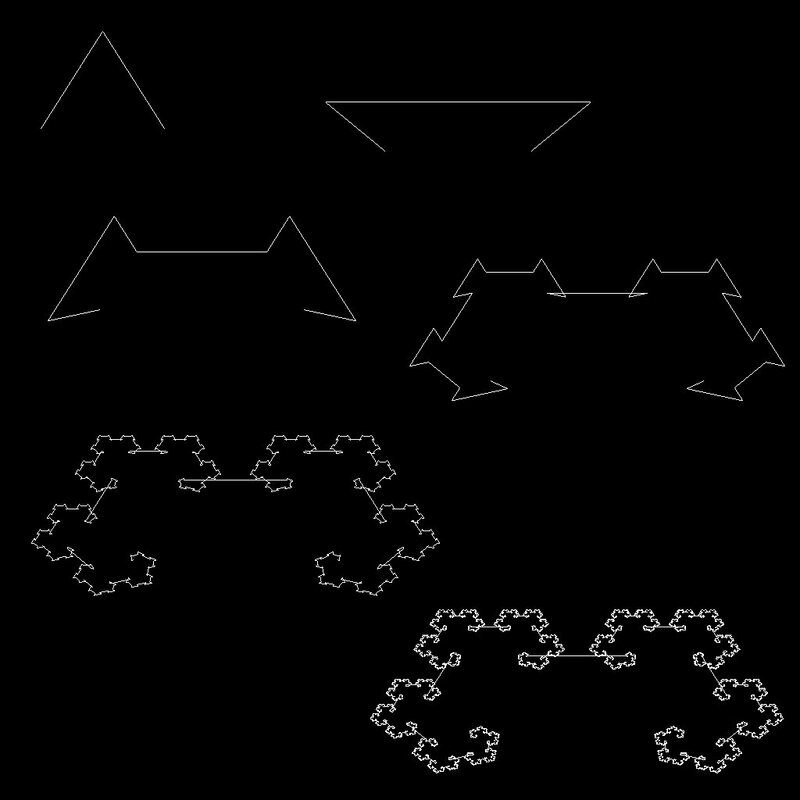 the same complex shape, repeated many times. 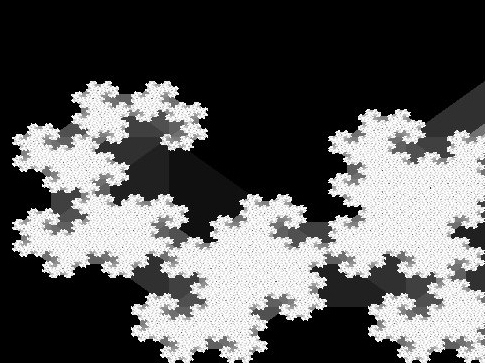 The same dragon zoomed in. 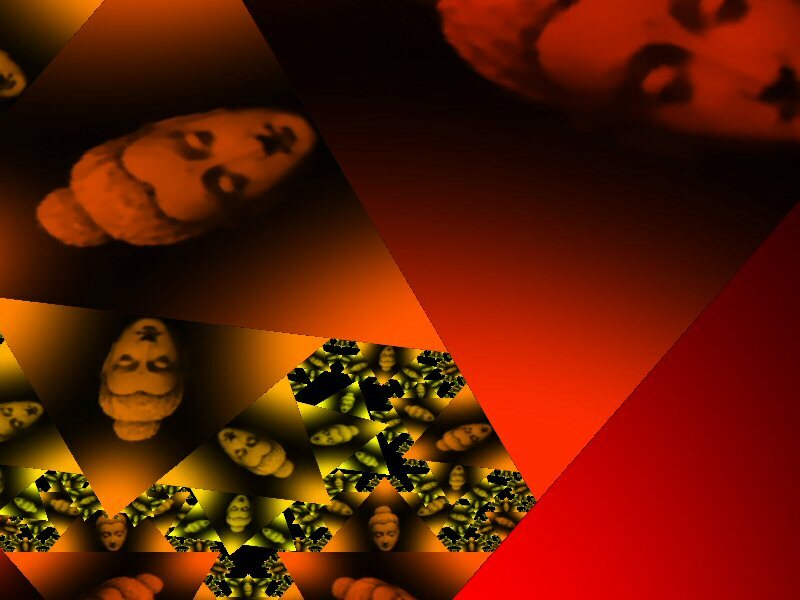 Transparency in the texture adds depth.